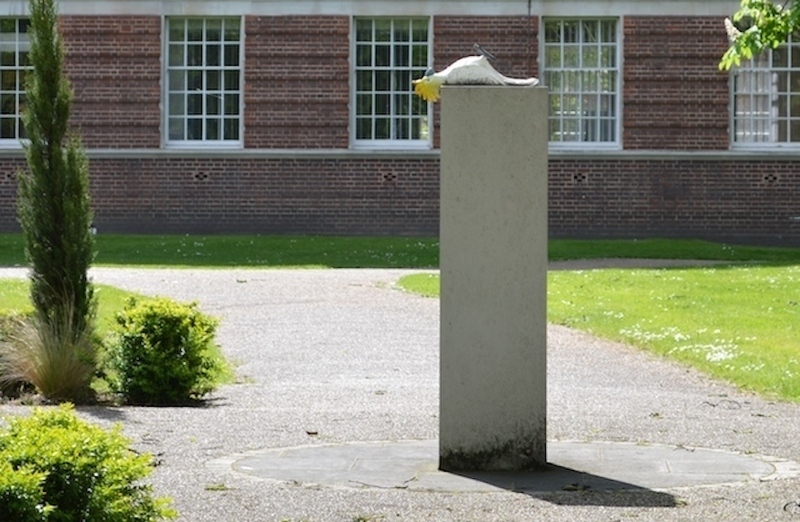 Why Is There A Statue Of A Dead Parrot In Greenwich? M@ Why Is There A Statue Of A Dead Parrot In Greenwich? This is an ex-parrot. Bereft of life, it rests in peace. The deceased bird decorates a purpose-built plinth on the corner of Romney Road and King William Walk, Greenwich. If it wasn't cemented to its perch, it'd be pushing up the daisies. Look, there they are to the right of shot. 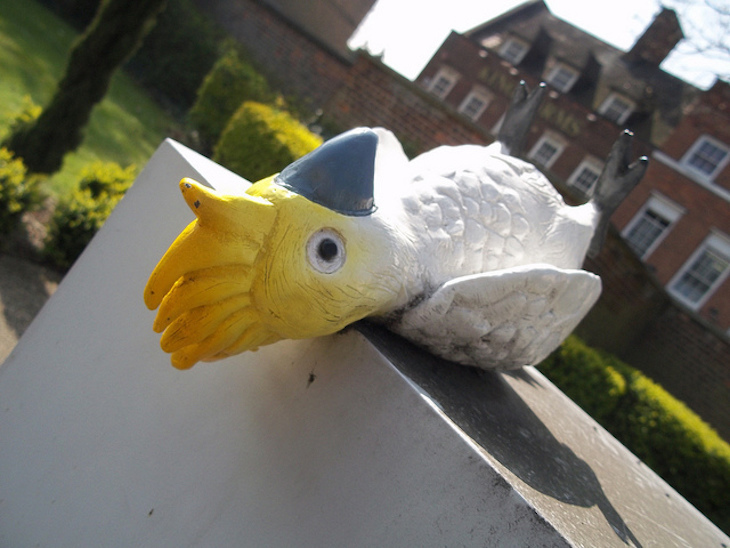 The belated beakster, a painted bronze sculpture, stands as a feature of interest in the grounds of Devonport House hotel. It was created in 2009 by artist John Reardon, presumably as an homage to the famous Monty Python sketch. It is simply titled 'Monument for a Dead Parrot' — though it appears to represent a sulphur-crested cockatoo rather than the 'Norwegian blue' from the sketch. The peculiar sculpture was briefly moved to safekeeping during the Olympics and Paralympics, when Devonport House was used by equestrian teams. Fears that the dead parrot had shuffled off this mortal coil were assuaged when it returned soon after the Games. It remains on its perch to this day, just around the corner from the National Maritime Museum. Incidentally, the 1971 reworked version of the Parrot Sketch was filmed in a real pet shop in Caledonian Road.